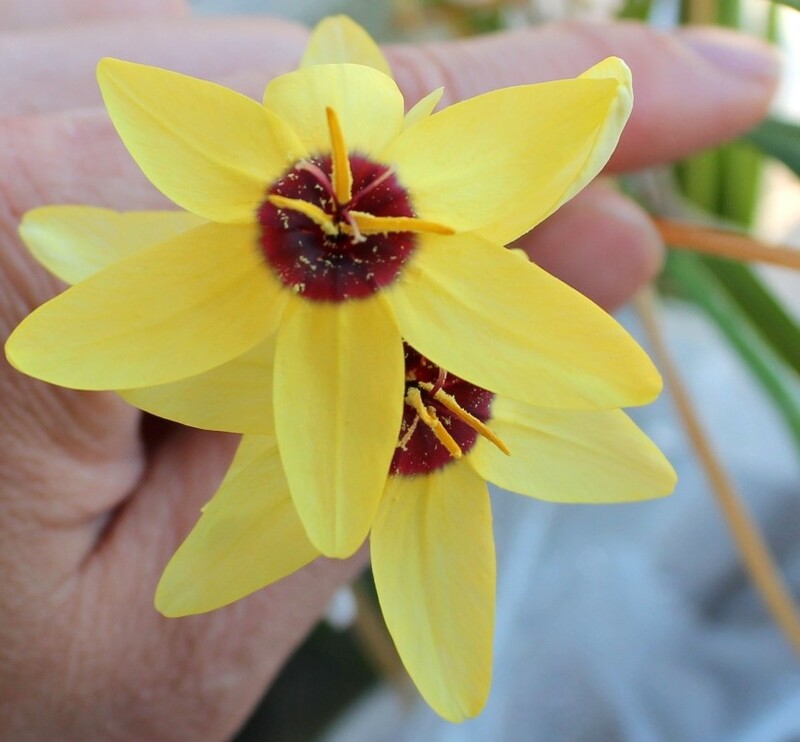 African Corn Lily (Ixia maculata) this yellow variety has nice pleasant fragrance! 這黃花品種的玉米百合有怡人甜香. Pretty and fragrant perennial flowering bulbs from Iris family. I am fond of its nice, sweet fragrance! I have planted them for the second years now and because they are not as cold hardy here in zone 6 so they have be by my picture window over winter. I have pollinated the flowers and hope able to seed. If it can set seeds, I will update and add the images. It prefers full sun to partial shade location in well drained soil. Fairly easy to grow. Blooming time in spring. You can propagate them by dividing the bulbs since the bulbs are small or by seeds if you can get them. Mature size:1′(H) x 6″(W). USDA Zones:8-10. Plant stay evergreen in these zones. 玉米百合是原生於南非的鳶尾科小型球根. 在溫暖的氣候時是常綠的. 喜全日照到半日照的環境,排水良好的土壤. 株高1呎,寬幅6″. 容易以分球和種子來繁殖. 春天開花,這個黃花的品種的花很香,是怡人的甜香. 我蠻喜歡的. 這屬的都很好種. 我已幫花授粉,若是結種子的話再來貼圖記錄. 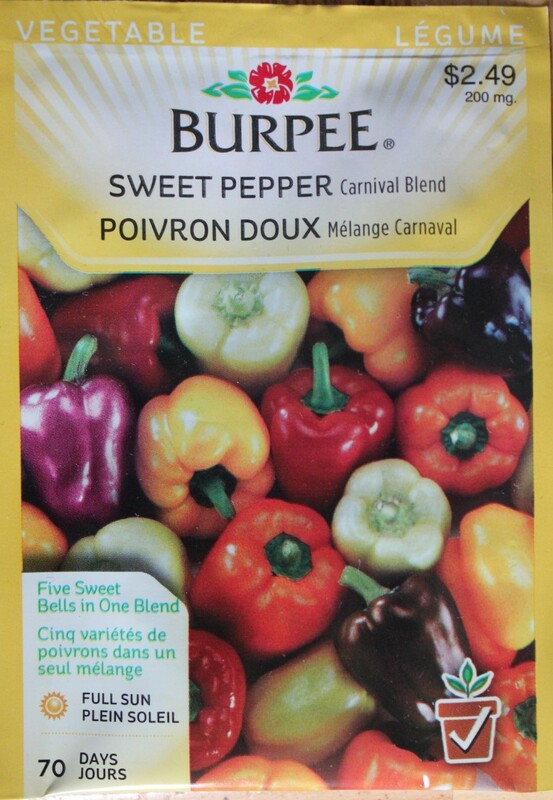 Nice sweet bell pepper mixed varieties. 五彩甜椒混合種子包. 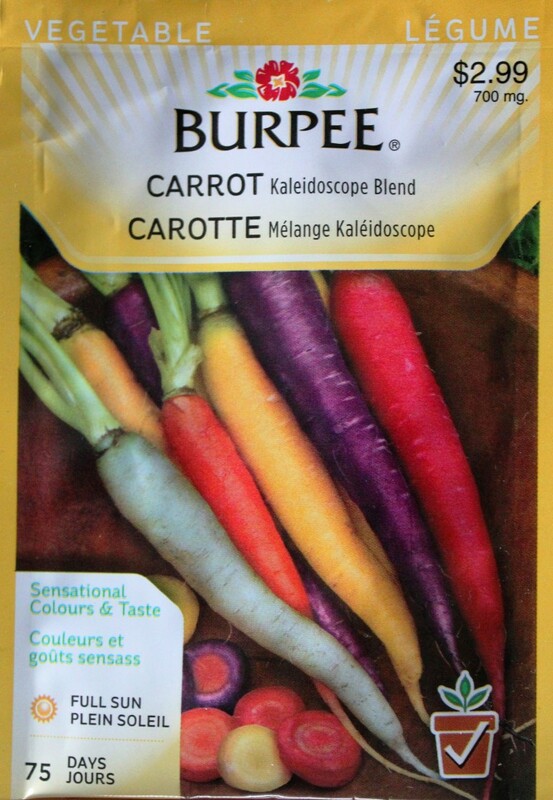 Rainbow Carrots ‘Kaleidoscope Blend’. 五彩胡蘿蔔種子包. 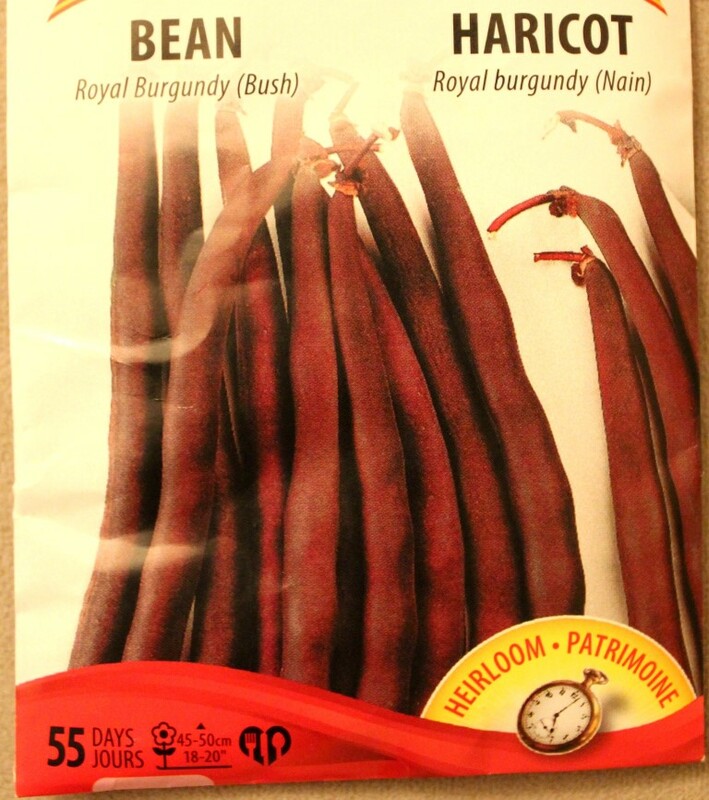 Red Pole Beans seed packet. 紅色四季豆種子包. 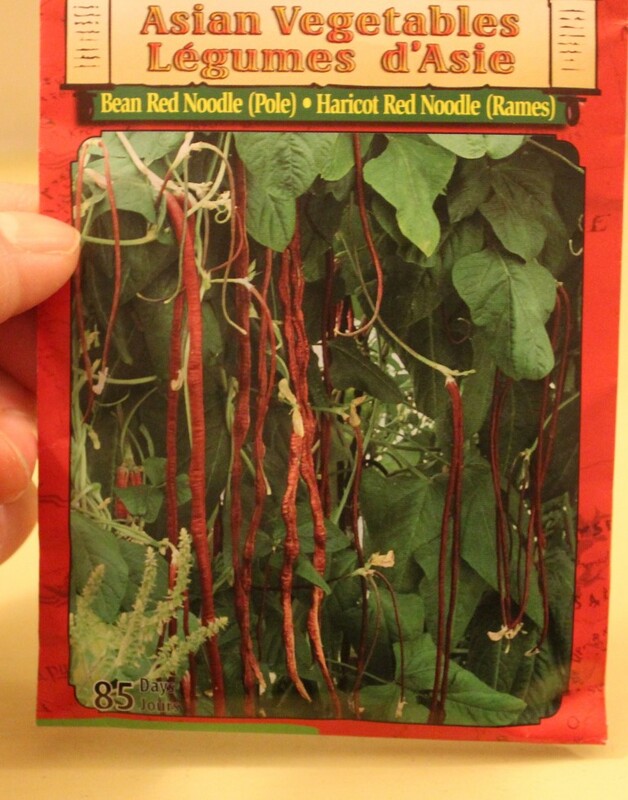 Red climbing beans ‘Red Noodle’ seed packet. 紅豇豆種子包. 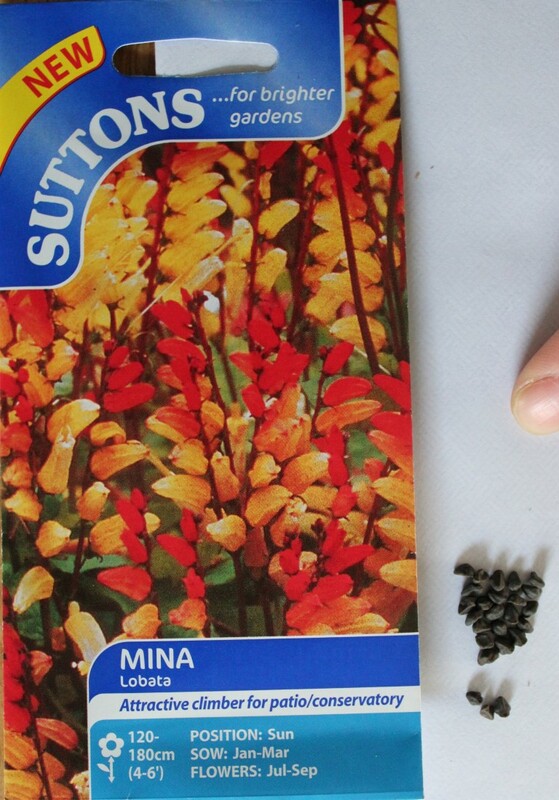 Chinese Lily Lantern or Christmas Bells (Sandersonia aurantiaca ) one bulb in one bulb packet. Odd looking bulb. 宮燈百合球根包一包一個長這樣的球根. 有點特異的球根形狀. Chinese Lily Lantern or Christmas Bells (Sandersonia aurantiaca ) flower buds are forming! 宮燈百合花苞形成中. This is a tropical bulbous perennial, rare seen. Easy to grow. Best growing in full sun to partial shade location. Orange yellow flowers with Chinese lantern shape appear in late spring to mid summer. Mature size:2′-4′(H) X 1.5′(W). USDA Zones:9-10. Propagate by seeds, rhizomes/tubers/bulbs. Plants are toxic if eaten. 它是熱帶多年生球根花卉,並不常見. 容易栽種. 最好栽種於全日照到半日照處. 橘黃色的花有著天燈般的花形於春末到仲夏間盛開. 成熟株高2-4呎,寬幅1.5呎左右. 喜熱怕冷. 繁殖可以種子,地下根莖,球根等來進行. 植物有毒勿食. 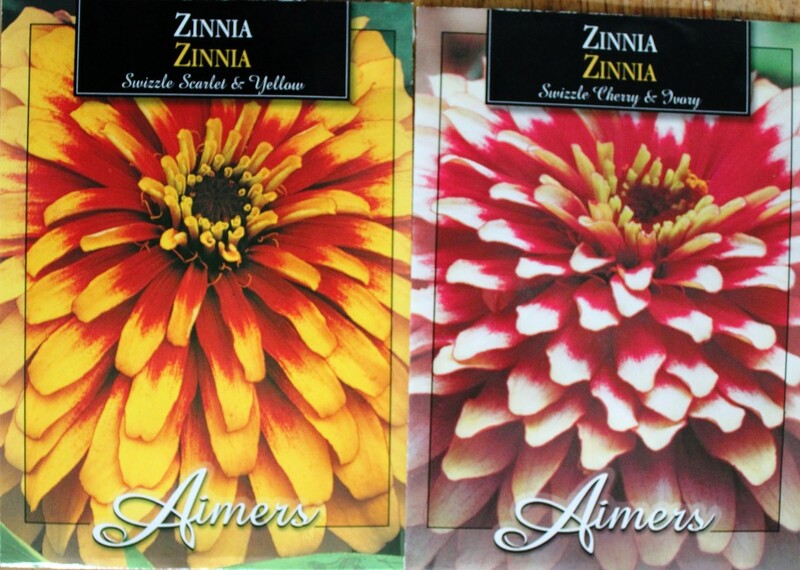 Zinnia Bi-Color seed packets. 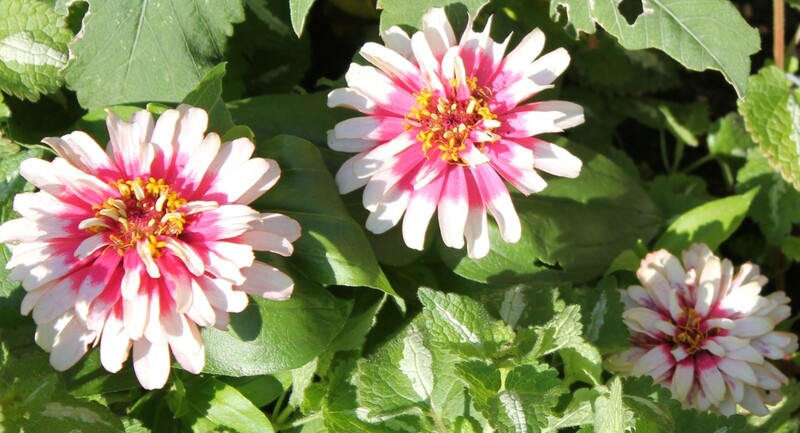 (Zinnia elegans) 雙色百日草種子包. 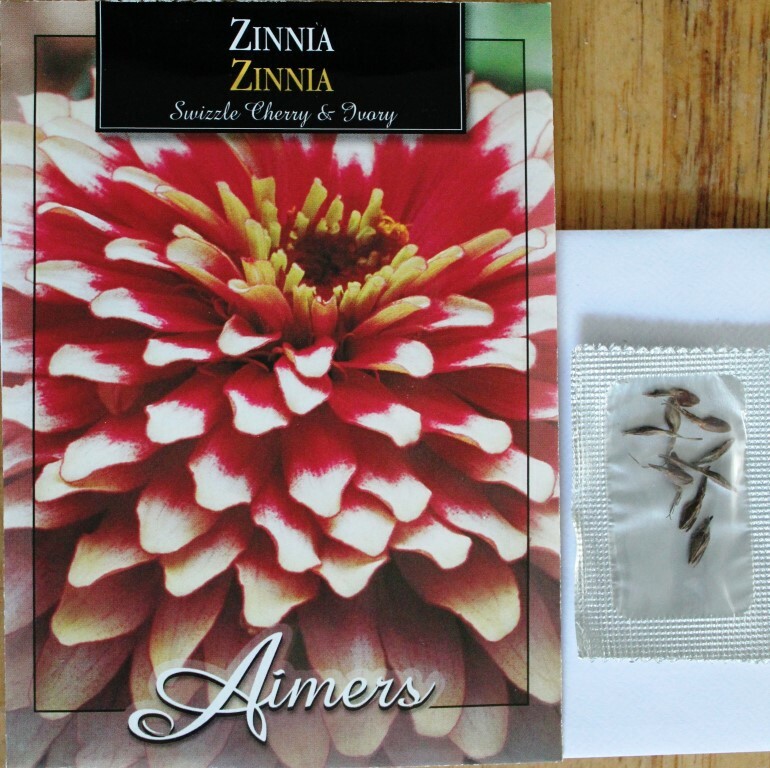 Zinnia Bi-Color seed packets. (Zinnia elegans) 雙色百日草種子包. 種子包裡只有10顆種子而已,超貴的!! 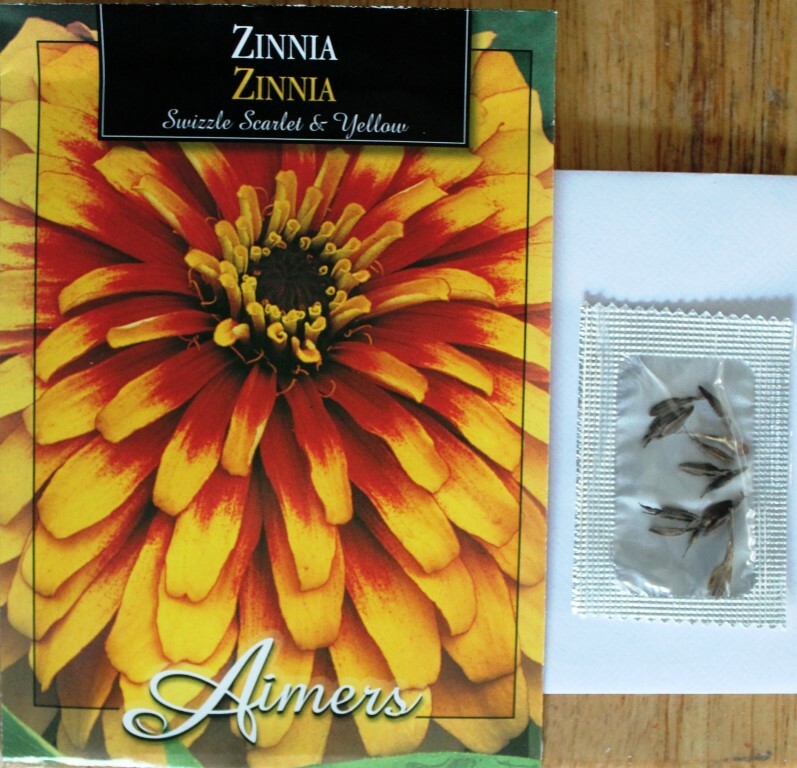 Spanish Flag/Exotic Love Vine seed packet and seeds. (Ipomoea lobata)金魚花種子包及種子. Spanish Flag/Exotic Love Vine seed germination. (Ipomoea lobata)金魚花種子發芽. Spanish Flag/Exotic Love Vine is forming flower buds. 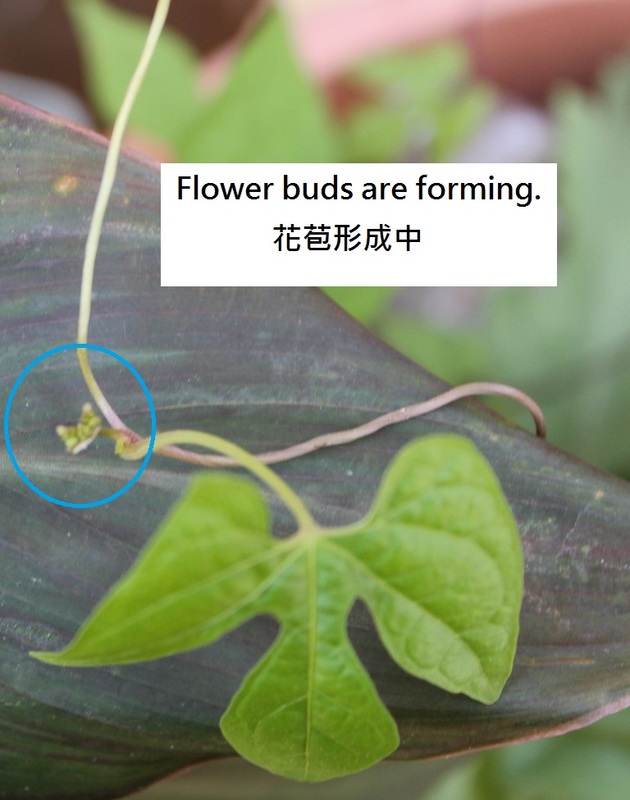 (Ipomoea lobata)金魚花植株的花苞形成中. Also is called “Firecracker Vine". Well, it is tender perennial to Canada so I will grow the plants in pot indoors in the end of summer. Hopefully it will bloom next summer to fall then. It is easy to grow in full sun location. Easy to propagate from seeds or cuttings. Mature size:8′-10′(H) X9″-1′(W). Seed is poisonous if ingested. Flowers attract bees, butterflies and birds. Flowers are good for cut flower. 由於加拿大是溫帶所以我想夏末時盆植,冬天室內靠窗過冬,這樣隔年應該就能開花了! 它喜全日照不要太溼,容易以種子或枝條來扦插. 地植的成熟株高8-10呎,寬幅9吋到1呎寬. 種子有毒勿食. 花期為夏到秋,花吸引蜂蝶與鳥類. 可做切花花材. 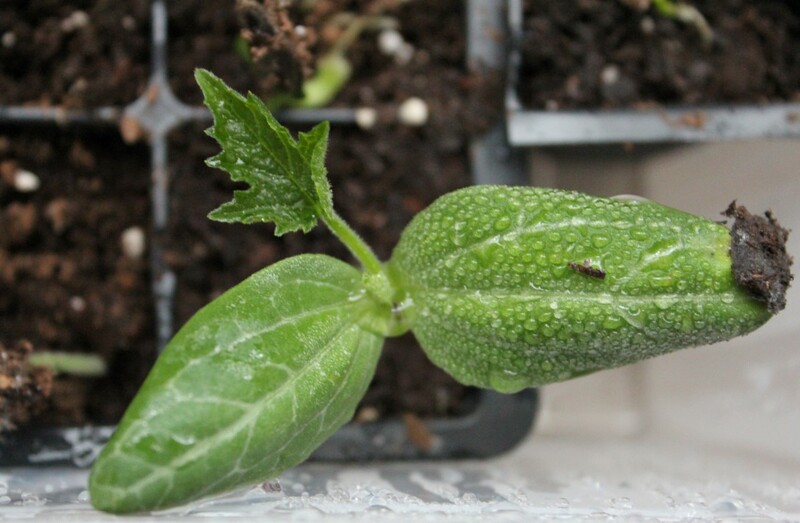 Luffa or Sponge Gourd (Luffa aegyptiaca) seed germination. 絲瓜種子孵出. 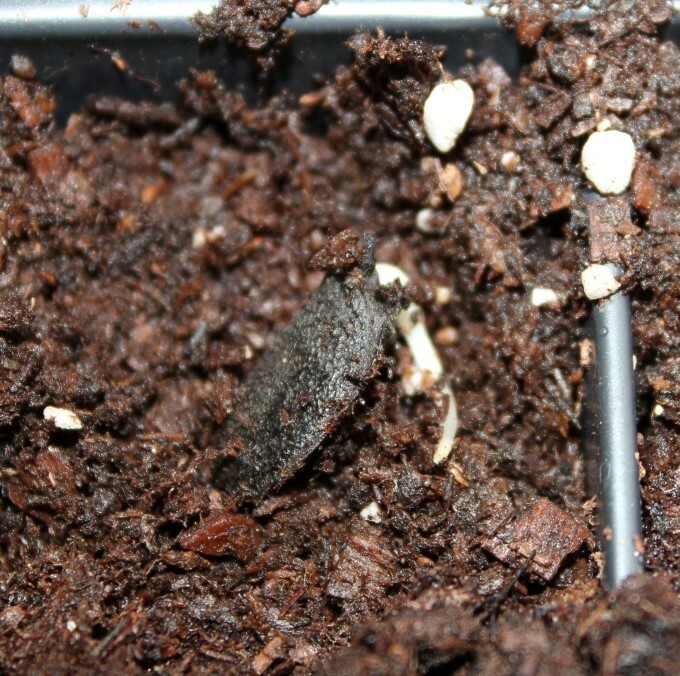 Luffa or Sponge Gourd (Luffa aegyptiaca) seed germination. 絲瓜種子孵出並長出本葉. 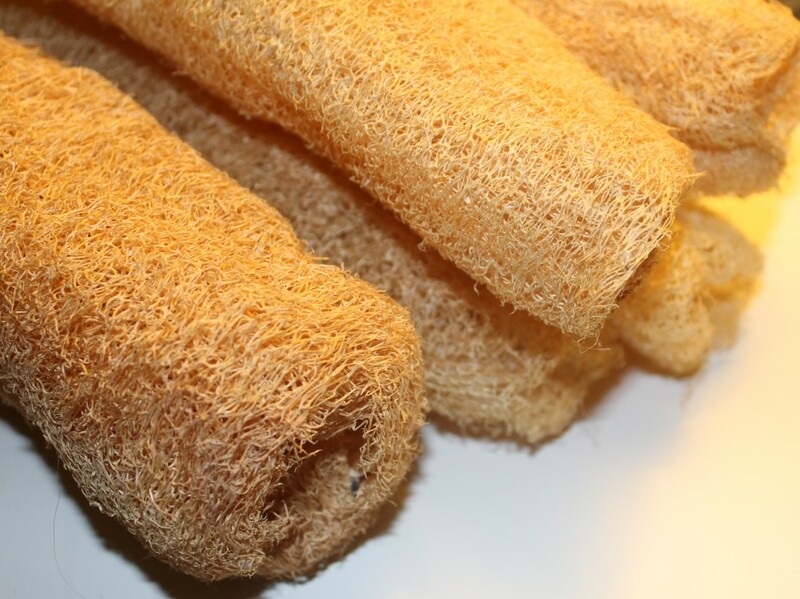 Luffa aegyptiaca, aka Egyptian cucumber, aka Vietnamese luffa, aka sponge gourd. It is an annual vine, very common veggie in Asia. The tender fruit is for veggie and the aged fibrous skeleton of the fruit is the most environmental friendly scrubber for households. In old days, the fluid of the vine (use sharp knife to cut a wound to get the fresh liquid) has been used for facial lotion/mask for cooling, hydration and reducing wrinkles. It is also medicinal plant. It is very easy to grow from seeds. It prefers full sun to partial shade location with structure support to cling on. Male and female yellow flowers in the same plant. Easy to fruit. 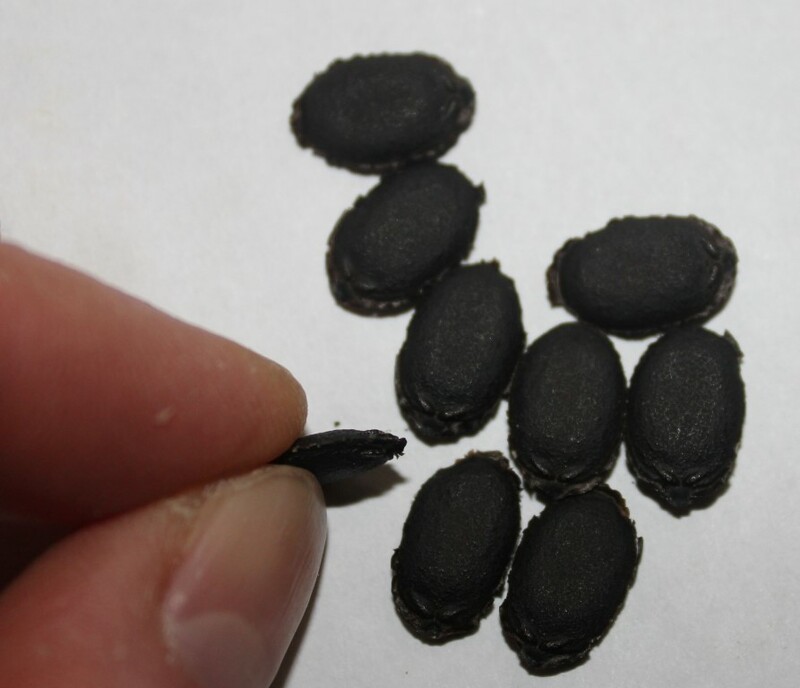 1.Get the seeds from ripen fruit, the seeds are black and flat. (See the seed image.) Plant the seeds in moist warm location. 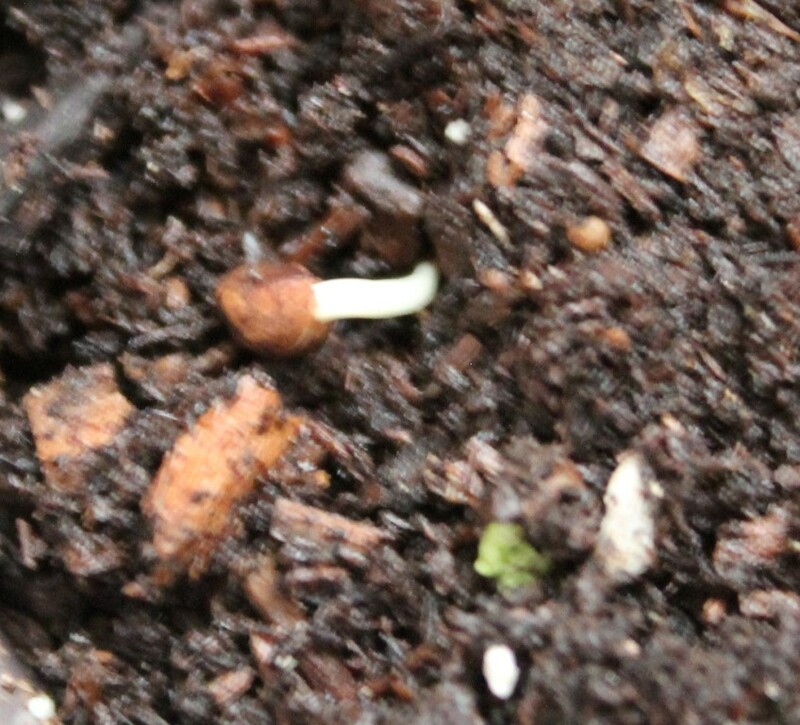 About 1-3 days, seeds will sprout. Use protection for seedlings if your planting area has animal problem. 1.從熟瓜中取出種子或曬乾的絲瓜絡敲出種子. 成熟的種子是黑色扁平有點厚度的. (見圖) 將種子置於溼潤的土表放在溫暖的地方在1-3天就會出芽. 若鄰近有野生動物會破壞/吃掉種子或挖土的話要保護種子或小苗. 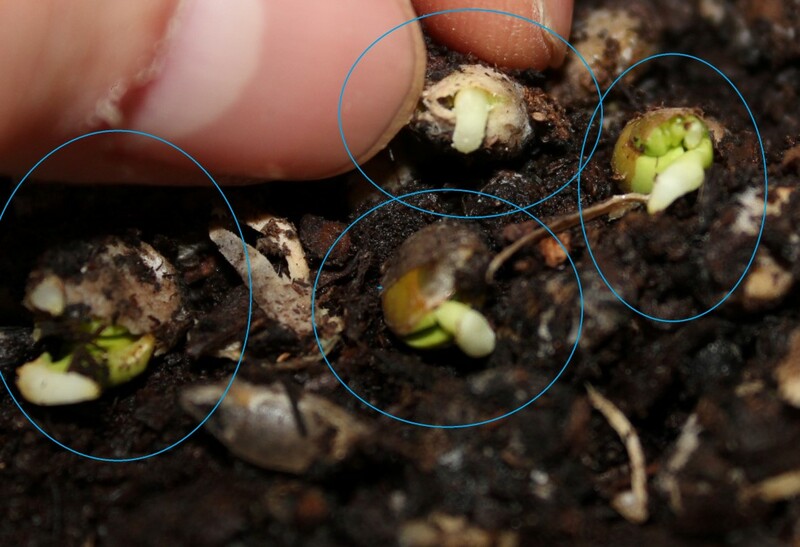 2.Transplant the seedlings when they have 4-6 leaves and plant them in the ground or in large planters. Keep them in moist but well drained soil in full sun to partial shade location. It prefers growing in warm temperature. 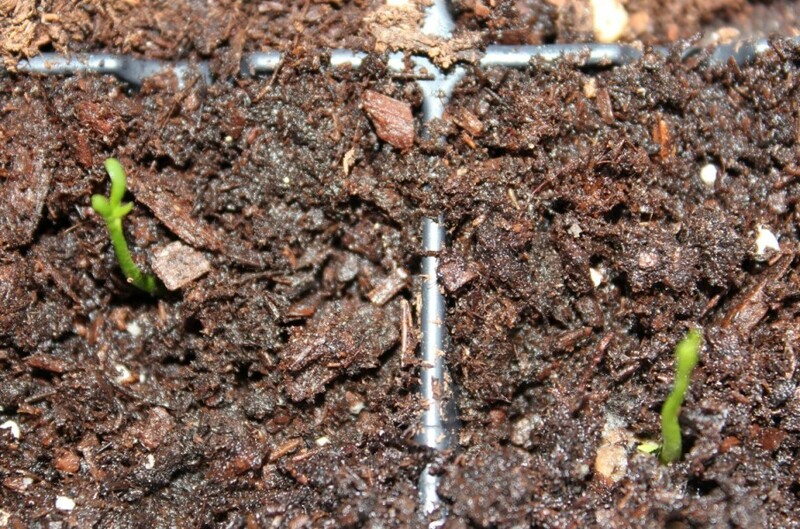 Kumquat seed germination. (Citrofortunella microcarpa (Bunge) Wijnands) 金棗種子孵出. They are small shrubs in Citrus. Mature size:8′-10′(H) X 8′-10′(W). In pot will be or can be smaller. Evergreen glossy leaves and small white fragrant flowers are really pretty! I like their fruit peel is so frangrant and sweet can be eaten whole. It is very easy to grow in full sun location with moist but well drained rich soil. 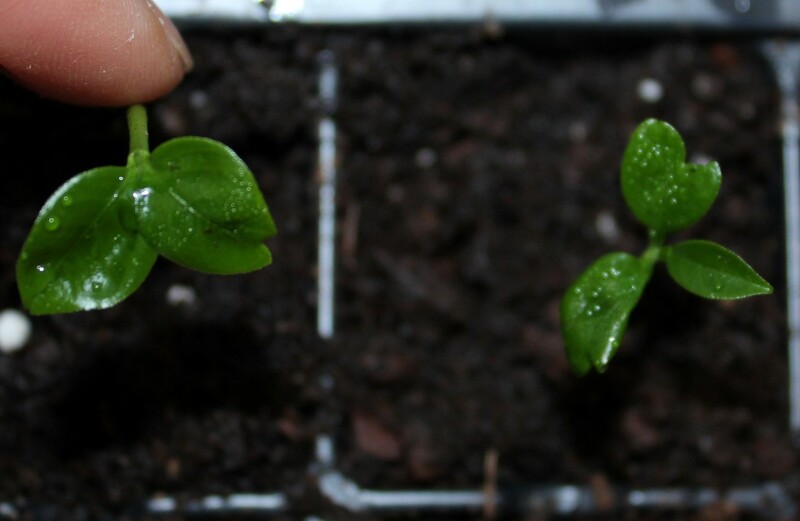 It is easy to propagate from seeds, cutting or by grafting. 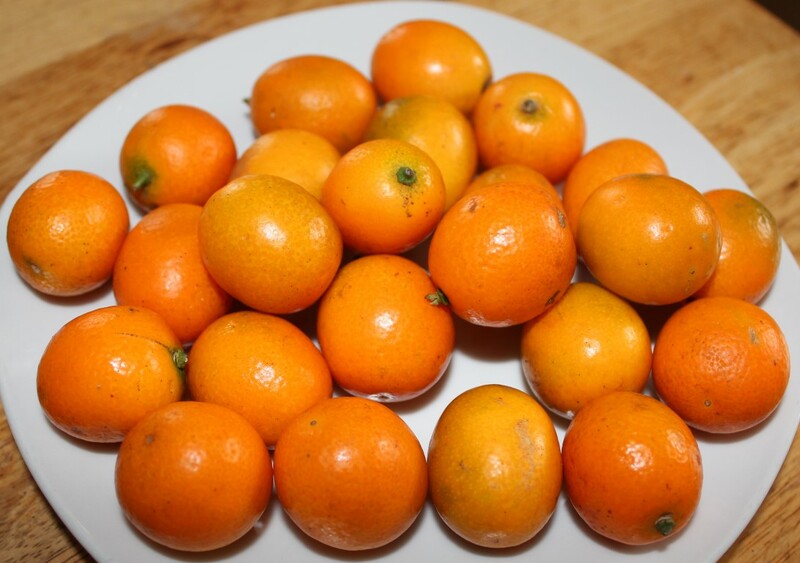 Like all citrus they are not as cold tolerant in winter if you live in cold climate, just plant them in pots and bring them indoors by bright window in the fall. USDA Zones: 8-12. 金棗是柑橘屬的小型灌木. 地植的成熟株高或寬幅為8-10呎. 盆植會較低矮或可以修剪控制高度及寬幅. 葉片光亮常綠,白花小而香很是美麗! 我喜歡它的果皮香甜可整顆入口. 鮮果可生吃,泡茶或製成果醬,蜜餞等. 容易栽種在全日照處濕潤但排水良好的肥沃土壤. 容易以種子,扦插或高壓等方式來繁殖. 由於它們不耐寒,秋天變冷前要搬進屋放在明亮的窗旁過冬.